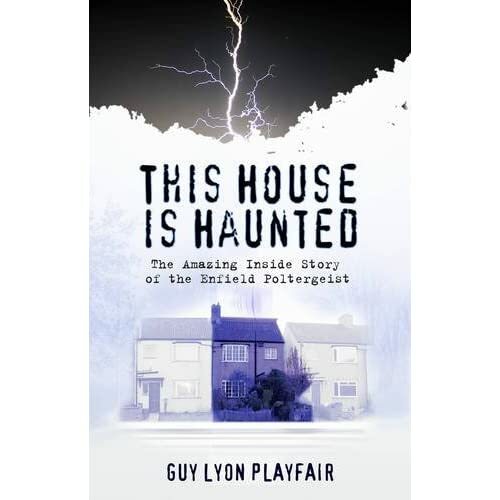 This is the Amazing Story of the Enfield Poltergeist On August 31st 1977, normal life ended for Mrs Harper and her four children in their modest council house in a hitherto quiet corner of the north London suburb of Enfield. Compared to what was to come, the initial phenomena were relatively minor - knockings on the walls, and pieces of furniture moving in ways that did not seem normal. The neighbours came in and searched the house, finding all in order, though they too heard the knocking. The police were called, and were able to witness a chair sliding along the floor. The disturbances went on, getting more intense and more frightening. They were eventually witnessed by at least thirty people. They included examples of everything a poltergeist can do - overturning chairs and tables, flinging things about, whipping off bedclothes, levitating one of the girls in full view of passers-by, making her speak with the voice of an old man and defying the laws of physics by passing matter through solid matter. Much of this bewildering and often terrifying activity was captured on tape and film by Maurice Grosse of the Society for Psychical Research and his colleague Guy Lyon Playfair, who were on the case within days of its outbreak stayed on it until it finally came to an end, with a twist as unexpected and surprising as in any detective story. No other case of its kind has been so well witnessed from start to finish or so thoroughly documented. Incidents are described as they happened, without embellishment, from some six hundred pages of transcripts of live tape recordings. The story of the Enfield poltergeist is already regarded as a classic in the annals of psychical research. It has been the subject of worldwide press coverage and several radio and television documentaries.